Omelette and pappu, omelette and chapati, omelet and bread..what a flavorful combination!!!! I wanna make some different omelette from a regular one. I was having mashed potato let over after preparing filling for my other innovation Potato stuffed paniyaram. 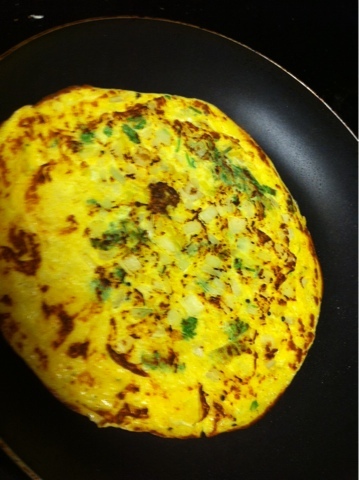 I seasoned this potato and added to egg to make this wonderful omelet. I bet once you make it, you will do it again and again. Now coming to the recipe. 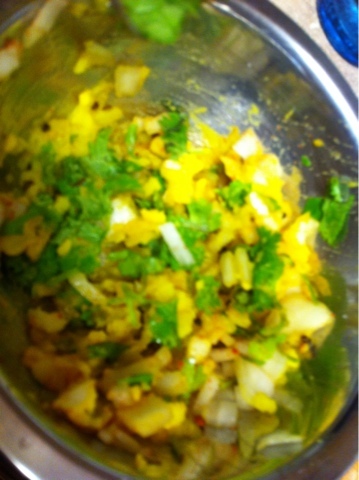 Take a mixing bowl and add all the ingredients except egg and mix well. Finally break open egg and add it to the bowl and mix all the ingredients together thoroughly and whisk them atleast for 30sec. Heat non stick pan and add 2tbsp of oil and pour this mixture on to the pan spread it all over by rotating the pan. Add oil from the sides on the omelette and cook it under medium flame till it turns golden brown and flip it and cook on the other side till it turns golden brown. Hope you like my recipe. thanQ for stopping by. keep visiting. Simply yummy and inviting potato omlette dear. Love to try it out soon. Yumm Potato Ommelette Dear.Will try it soon. 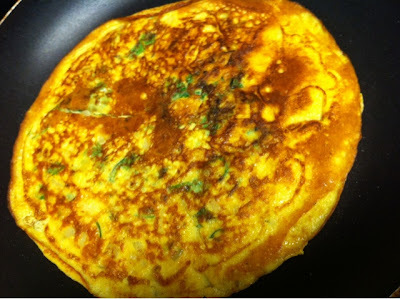 Super delicious omelette,makes me hungry..